Home / Modern Pest Blog / Is that a Stink bug or a Western Conifer Seed Bug in my house? Is that a Stink bug or a Western Conifer Seed Bug in my house? Autumn – this is the time of year you can find everything flavored in pumpkin spice. Meanwhile, apples are being picked, foliage is peeped and weird bugs are sneaking into your house. That’s right, it is also the time when many pests start seeking shelter for the winter. You may have noticed infestations of ladybugs or even cluster flies entering your home, doing just that. But what about invasions of Western Conifer Seed Bug? Got Seed Bugs? Call a knowledgeable licensed professional at 1-800-323-PEST or contact us to request a FREE Quote, ask us a question or Schedule a Service! 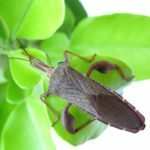 What is the Western Conifer Seed Bug? The Western Conifer Seed Bug also seeks the warmth of your home to bunker down in for the winter. It’s often misidentified as a Stink Bug, Cockroach or as the biting “Kissing Bug” due to its vaguely similar appearance. However, you will not find Kissing Bugs in New England and Stink Bugs are not as common to the region either. So in most cases, if you are finding this impressive insect infesting your home, it is the Seed Bug. It is brown and black in coloring, has a small, pointed head, square “shoulders,” and wings the length of its body. It also can have a bitter smell used to deter predators, hence the confusion with the Stink Bug. 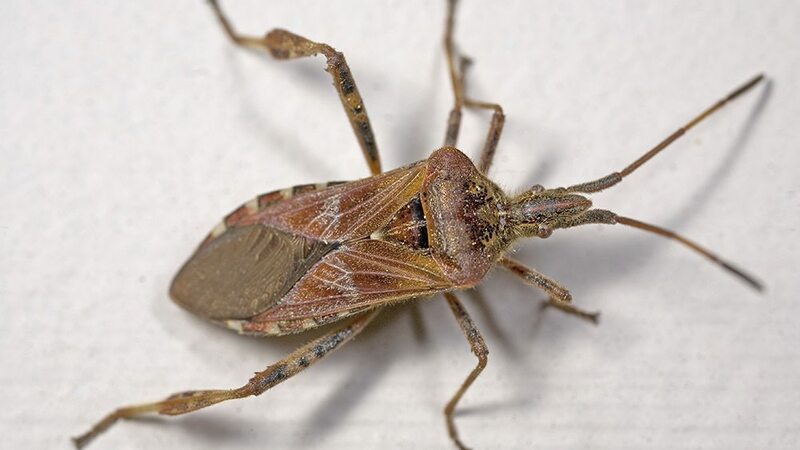 The good news is the Western Conifer Seed Bug is not known to bite or cause harm. It can, however, become a nuisance when they decide to move in for the winter. At about ¾ of an inch long and in great numbers, they are not a welcome sight in most homes. Like the ladybug or cluster fly, the Seed Bug will sneak in through tiny cracks, drawn to your home’s warmth. So the first and best line of defense from a pest invasion, including these little buggers (pun intended), is to tighten up your home. Start by locating and sealing all the tiny gaps. While taking preventative measures can definitely help reduce the number of Seed Bugs that make it into your house, it can be very difficult to find every possible entry point and seal it up tight. 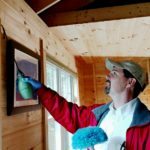 Therefore, hiring a Modern Pest Services professional to perform an exterior treatment is the best way to greatly reduce the number of bugs that will enter your home. A professional will have all the correct tools and equipment, as well as, knowledge and skill to effectively inspect for and target all possible entry points. That said, to effectively treat your home from a fall invasion of Seed Bugs, timing is critical. As the weather begins to cool, it is important to schedule the treatment early enough in the season that the bugs do not sneak in before measures can be taken to stop them. Too soon, however, and the treatment will become less effective as it breaks down over time. Call Modern Pest today to learn how to best optimize your defense against Seed Bugs. Tackling an insect invasion, like the Western Conifer Seed Bug, on your own is not always possible or realistic. That’s just one of the reasons why partnering with a licensed pest control company, like Modern Pest Services, could prove beneficial. Our trained Service Professionals have the knowledge required to zero in on anything that could attract unwanted critters. They understand the preventative measures necessary in order to help keep your home pest-free. Pest concerns change with the seasons, which is why our HomeCare Green program has been designed to target specific pests based on the time of year. HomeCare Green offers year-round protection against 60 different household pests – guaranteed! So if you’re ready to bring in the expert’s, request a free quote or give us a call today!